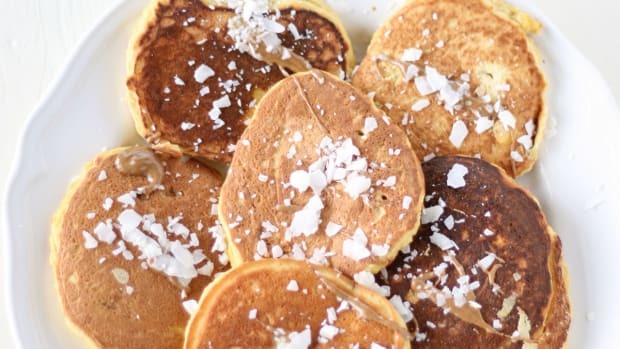 This gluten-free and paleo-friendly coconut flour pancakes recipe made with just a few whole food ingredients will have you searching for your griddle and spatula ASAP. 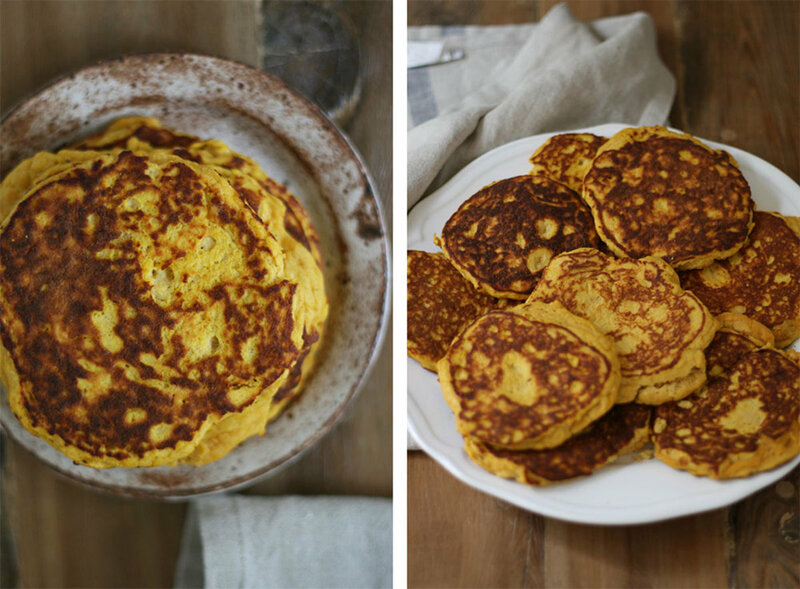 Pancake lovers, these easy as (paleo) pie coconut flour pancakes recipe has your name all over it. 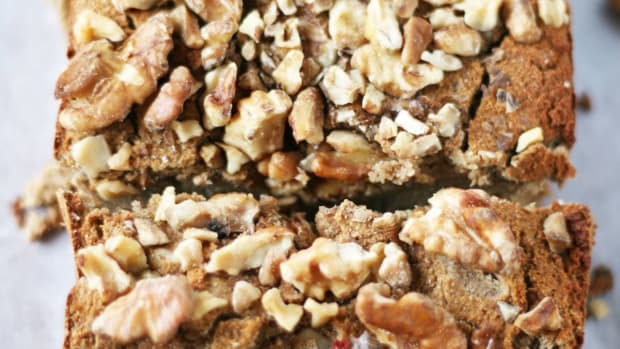 If you’ve made the switch to a gluten-free, paleo lifestyle, or are just watching your carbohydrate intake, you may find yourself craving some good old fashioned baked goods. The good news is that you can find alternative flours to substitute into your favorite recipes to satisfy all your muffin, cake, and pancake cravings. My gluten-free flour favorite isn’t flour at all. Coconut flour is made from ground and dried coconut meat (aka the white flesh on the inside of a coconut shell). Due to its minimally processed nature, coconut flour packs a nutritional punch along with a variety of nutrients. Coconut flour is naturally high in fiber, protein, and heart healthy fats, while being low-glycemic and completely gluten- and grain-free. 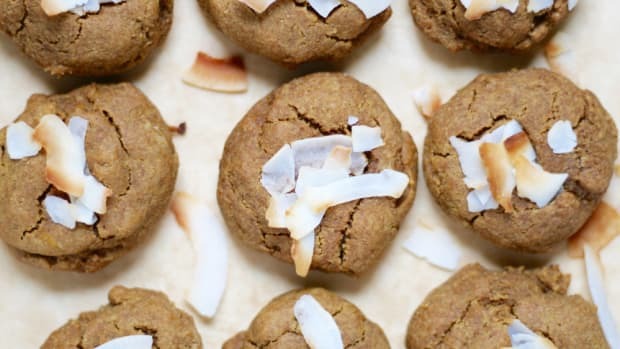 This means that coconut flour is suitable for those with a gluten allergy or sensitivity, those following a paleo lifestyle, diabetics, individuals with tree nut allergies, and just about anyone else who wants to experiment with a delicious, low-carbohydrate flour in their baking and cooking. 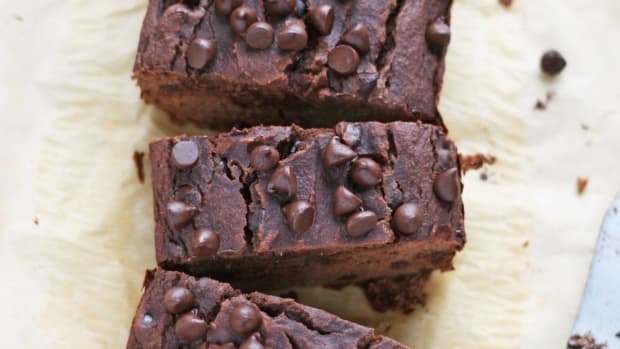 Two tablespoons of refined white flour clocks in at 55 calories, 0 grams of fat, 11.5 grams of carbohydrates (0 grams from fiber), 0 grams of sugar, and 1 gram of protein. Two tablespoons of coconut flour, on the other hand, contain 62 calories, 1.5 grams of fat (healthy medium chain triglycerides), 8 grams of carbohydrates (all 8 grams coming from fiber! ), 1 gram of sugar, and 4 grams of protein. Nutrient for nutrient, coconut flour is definitely the more whole and nutritious choice. Yes, coconut oil, coconut flour, coconut cream, etc. 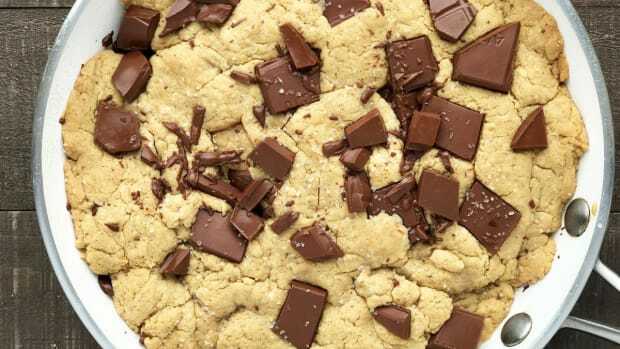 are packed full of saturated fat (about 90 percent of its total content in fact). However, the saturated fat within coconuts is about 65 percent medium-chain triglycerides, a type of fat that is easily used by the body. These fats are passively diffused from our gastrointestinal tract to the portal system, which basically means that they are metabolized and digested by our body right away. This gives us a boost of energy and leads to less strain on our liver, pancreas, and digestive system. Because coconut oil is so easily digestible, it also tends to help improve the absorption of other nutrients as well. Coconuts have long (erroneously) been taboo because of their cholesterol content. Good news: several studies have shown that the saturated fat within coconuts do not negatively effect cholesterol levels. Other benefits of coconuts and coconut flour include their antimicrobial effects and benefits toward gut and digestive issues. Coconuts are also rich in antioxidant vitamins E and C, manganese, lauric acid, and plant sterols, which boast cholesterol-lowering properties. You cannot substitute coconut flour with white flour at a 1:1 ratio. Coconut flour is much more absorbent and requires more liquid when used in recipes (see next note). In recipes, you can generally substitute ¼ cup to ⅓ cup coconut flour for 1-cup grain-based flour. Coconut flour needs plenty of moisture in recipes to make sure the final product is not dense and dry. The easiest way to do this is by increasing the number of eggs (or egg substitutes). 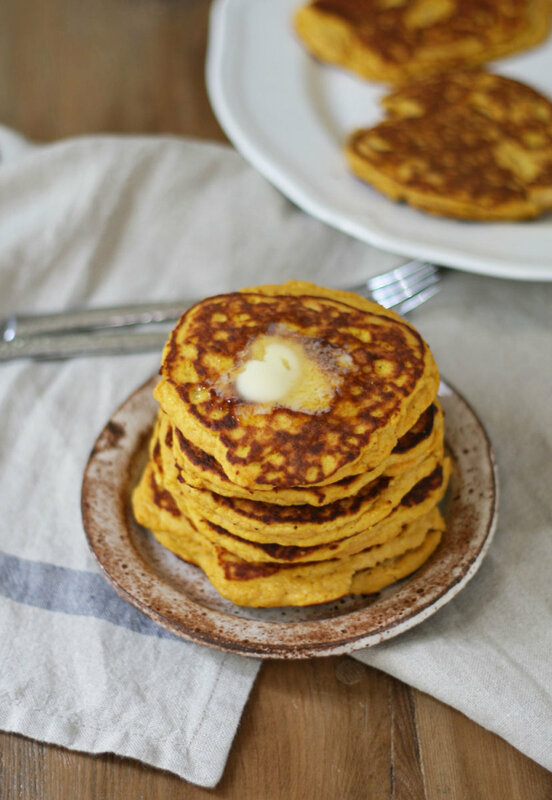 In general, for every one cup of coconut flour, you will need to use six eggs in addition to approximately one-cup liquid such as coconut or almond milk. Coconut flour can get a little clumpy. It’s best to mix coconut flour thoroughly with other ingredients in baked recipes to ensure an even-textured result. Coconut flour works well as a thickening agent in recipes, due to its high absorbency and fiber content. You can add one tablespoon of coconut flour to soups, stews, or smoothies for a thicker texture with nutrient benefits. For this coconut flour pancake recipe, a variety of liquids are used to ensure a smooth, soft, and super fluffy end result. 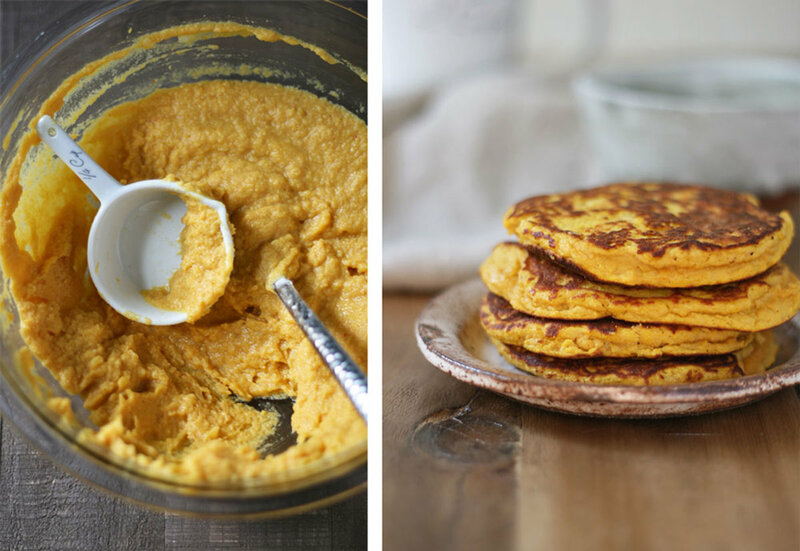 I love using applesauce or pumpkin puree for a seasonal twist, with added vitamin and mineral properties. 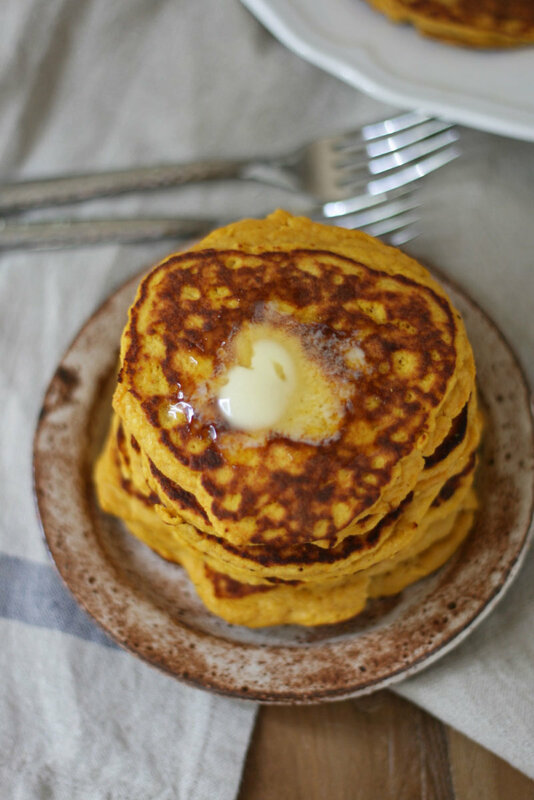 Other pancake ingredients include protein-filled organic eggs, warming vanilla extract, MCT-rich coconut oil or grass-fed butter packed with butyric acid, and maple syrup for a touch of sweetness. Of course, as these are not your traditional pancake recipe, they won’t be quite like the refined box mix you may be used to. 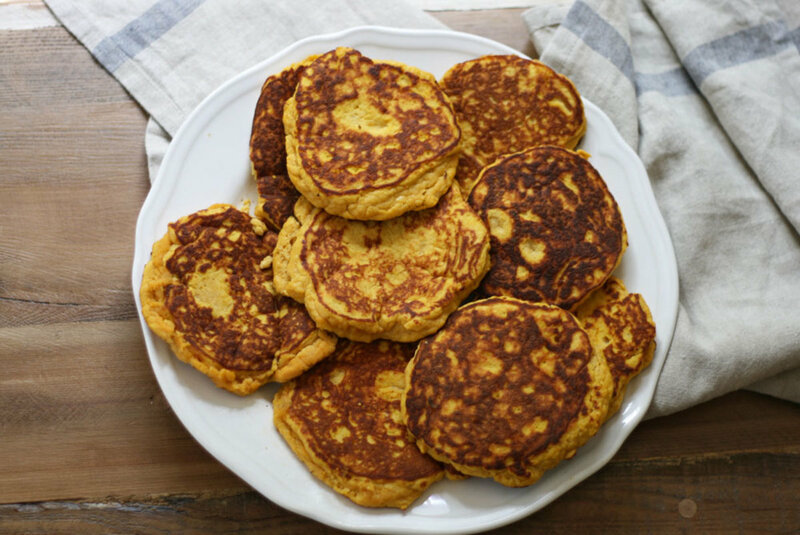 What these coconut pancakes are, however, are a delicious, low-carbohydrate whole food breakfast option that will make all your gluten-free and paleo dreams come true. Preheat griddle or large non-stick skillet over medium-low heat. In a small bowl beat eggs until frothy, about two minutes. 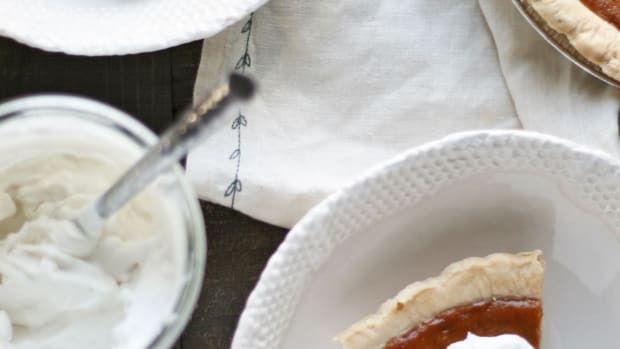 Mix in milk, vanilla, maple syrup, melted coconut oil or butter, and puree. Mix well to fully combine liquid ingredients. 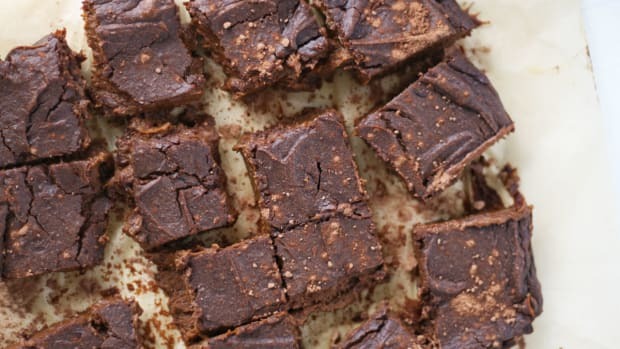 In a medium-sized bowl combine coconut flour, baking powder, and sea salt and whisk together. Stir dry mixture into wet until coconut flour is incorporated. Let batter sit and thicken for five minutes. At this point, batter will be thick and cake-like. Grease pan with butter or coconut oil. Ladle a few tablespoons of batter into pan for each pancake. Spread out slightly with the back of a spoon. The pancakes should be two to three inches in diameter and fairly thick. Cook for a few minutes on each side, until the tops dry out slightly and the bottoms start to brown, around three to four minutes. Note: these pancakes take much longer to cook than normal pancakes. Flip and cook an additional few minutes. 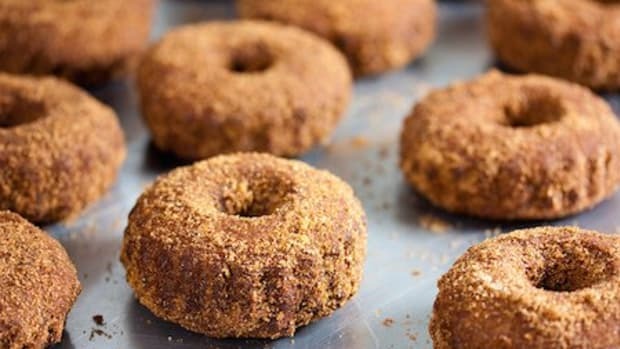 Serve hot with butter, maple syrup, fruit, and a few dashes of cinnamon if desired. Enjoy!